Wow, time really flies!!! The middle of this week marked the half way point of our Summer Immersive. We’ve come so far over the past few weeks, and the kids have learned so much. This week they explored a couple more of the sustainable development goals, and delved into what data is, what is computer programming and started programming themselves. Highlights and photos from the week are below! At the beginning of the week the kids explored SDG 4: Quality Education in greater detail through and interactive lesson. The kids discussed the power of education for transforming lives, and the fact that not everyone has the same access to education. Using online resources they reviewed education data for primary, secondary and post secondary education around the world. Finally, as a group the kids discussed ways to advocate for equal access to education for everyone around the world. At the end of the week the kids explored SDG3: Good Health & Well-Being. The kids discussed how we decide what is considered good health and ways they could practice good health. The kids also discussed the fact that many people around the world don’t have affordable access to health care. Finally, the kids discussed what they could do to promote and support good health in their families, and promote and advocate for access to health care in their communities. What is Data & What is Programming? The tech lessons this week started with an exploration of data in all it’s forms. The kids discussed how they use data in their lives, how data is all around them, and the difference between data and information. We later discussed broadly how programing languages work, and how they process data. 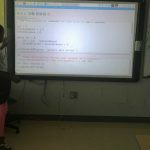 The kids reviewed the essential functions of every programming language and wrote their first program which printed “Hello World” to their screens. 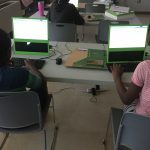 After learning how to program basic mathematical calculations and simple output in Python, the kids moved to storing data in variables, and in data structures like list (arrays) and dictionaries. 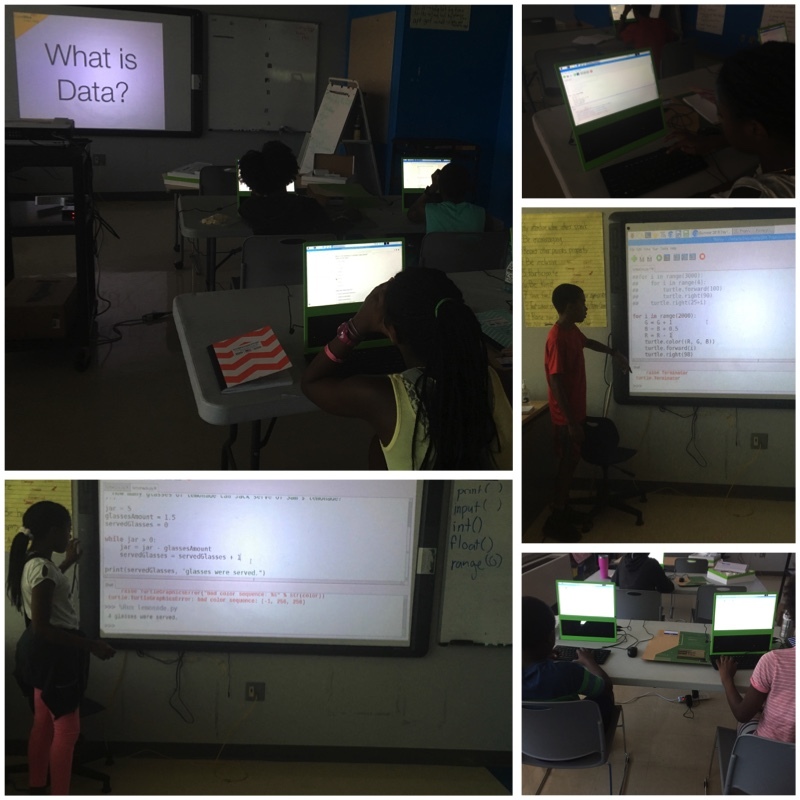 The kids also learned how to process data input from a user to create an interactive program. In the second half of the week the kids explored how to control the flow of programs through conditional statements and loops. 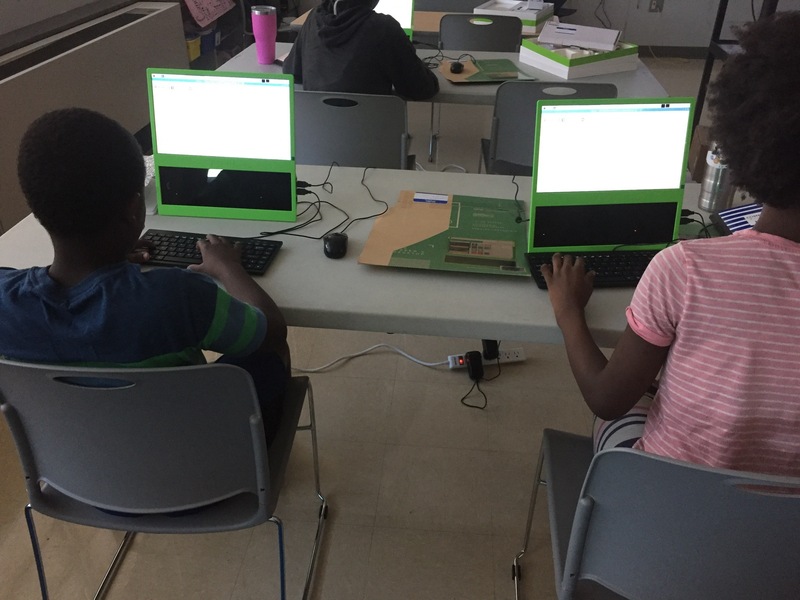 The kids learned how to code their programs to make decisions based upon a criteria that they set, and how to leverage the power of computers to do simple tasks repeatedly and quickly. 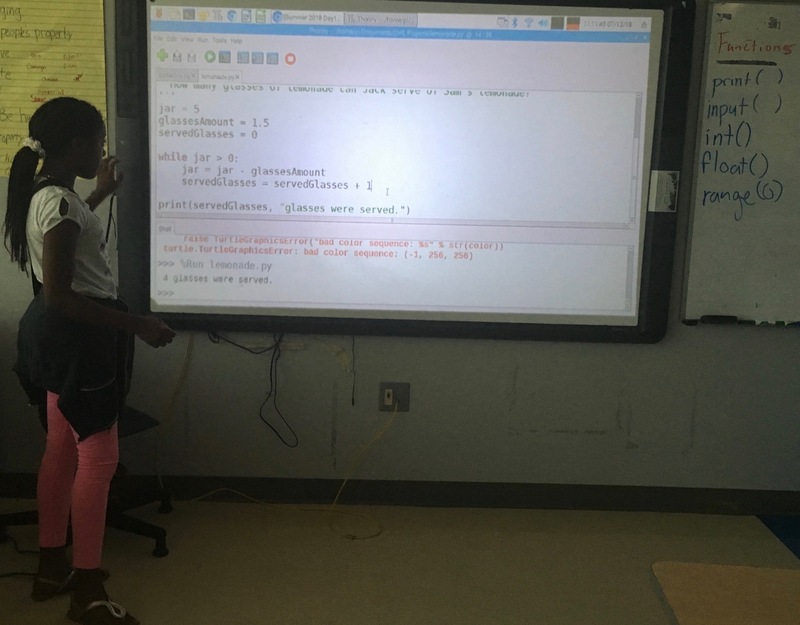 Finally, the kids learned more about functions and the power of encapsulating a small piece of code to call throughout their programs.